For a maker, the ability to Focus is one of the most important assets even over their technical skills. Cal Newport in his book ‘Deep Work‘ predicts that Focus will be a competitive advantage for the makers. 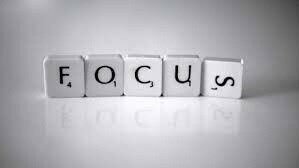 In this post let us examine some Do’s and Don’ts to achieve better focus and thereby better success. Sandra Bond Chapman, founder and chief director of the Center for Brain Health at the University of Texas, suggests things that we can do in our every day life to focus better. When we multi task, what we are actually doing is switching tasks. As in a production run, even in our head, there is a cost to switching from one task to another. There are certain tasks that are conducive to multitasking, and some that are not.